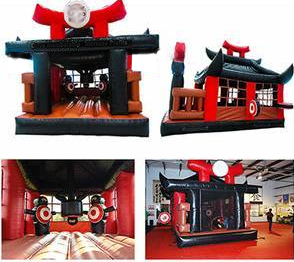 Jump,kick and bounce and punch! 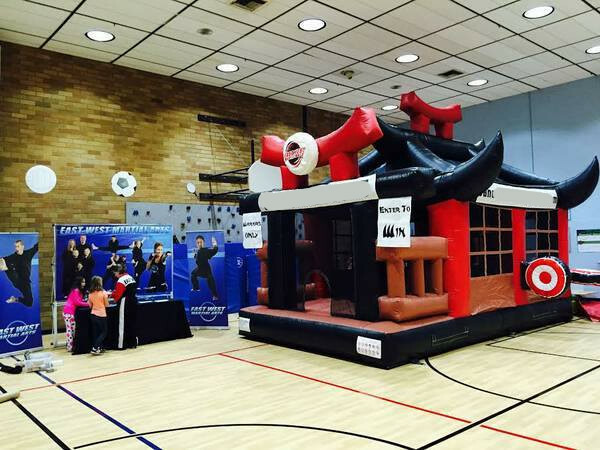 The Ninja Warrior interactive inflatable provides those ninjas in training. 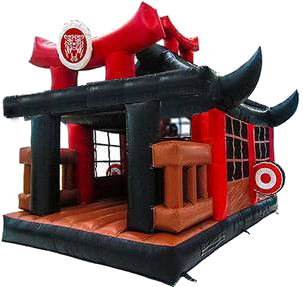 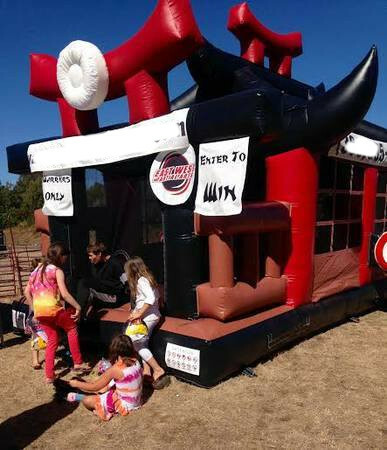 Inside and outside this dojo bounce house you will find kicking and punching targets for kids to practice their favorite martial art moves!